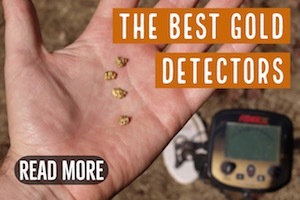 Hunting for gold nuggets is one of the more frustrating types of metal detecting. Most people give up before they ever find a nugget. There are many, many challenges associated with gold detecting, but one of the biggest challenges is definitely trash and iron rubbish. The amount of trash in some of the goldfields is absolutely overwhelming. You might think that this is the time to turn on your discrimination, but in most cases, that would be the wrong choice. You will miss a lot of gold if you do this. Most coin hunters embrace the use of discrimination mode because it prevents endless digging of trash targets. And when you are hunting parks and ballfields it is usually a good idea. Gold country is very different though. When you turn on your discrimination, you reduce the sensitivity and depth of your detector considerably. 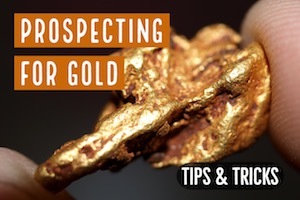 You will miss targets that are at depth, and since most gold nuggets are small, you will even miss nuggets that are relatively close to the surface. 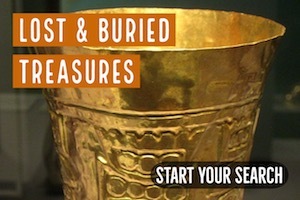 Your detector will miss them entirely. Even worse, even with detectors that have very reliable discrimination, it will still give you false readings. They will sometimes tell you that a nugget is trash, and that a piece of trash is likely to be a nugget. The reason for this is twofold. 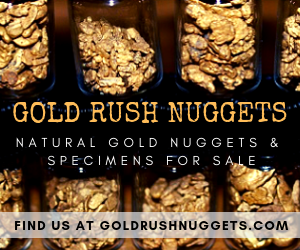 One thing is that nugget country is usually made up of very mineralized soils that are challenging for a metal detector. The ground is quite variable and constantly changing, which makes target identification difficult. And the other variable is that no two nuggets are the same. 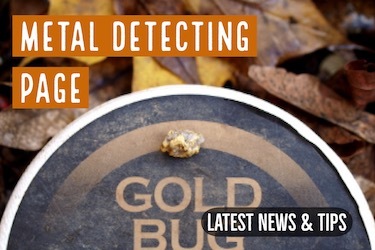 Odd-shaped, porous, or crystalline gold specimens can be particularly tough for metal detectors to identify. Discrimination will often blank them out completely. 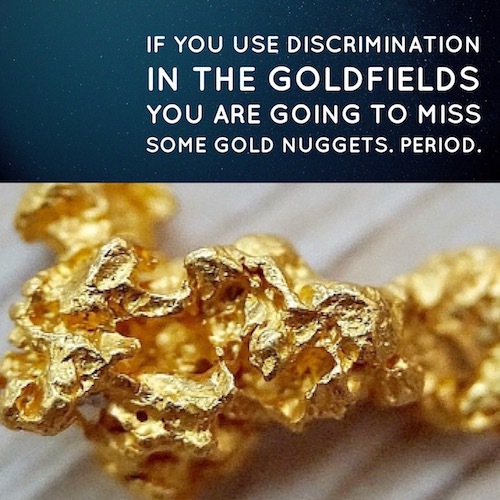 So When Do I Use Discrimination for Gold? Discrimination just isn’t reliable with our current detector technology. 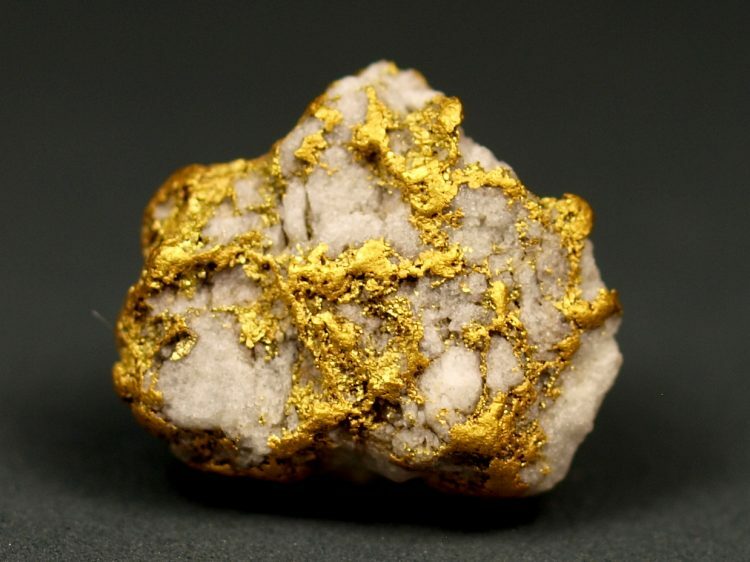 Too many variables mean that you can easily walk away form a gold nugget if you use it. So why would I ever do it? 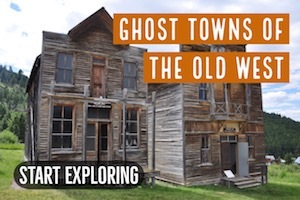 In all honesty, there are some places that are simply too trashy to detect without it. Even the most dedicated and patient prospector is not going to dig every target in a location with hundreds of trash targets. I have had lots of guys preach the motto to always “dig all targets,” and its definitely good advice, but I can guarantee you that they don’t always practice what they preach. If they did, there wouldn’t be so much old iron rubbish still left in the goldfields. I find too many square nails in places that have been pounded by other detectorists. There is simply too many targets to dig everything. So in these places, I will admit that I will use my discrimination. I do this with the acknowledgement that I am definitely missing some gold. A metal detector is a tool. They aren’t perfect, and they do make errors. Even a discrimination that isn’t 100% accurate is still more valuable than none at all. And in some areas, using it is the only good option. Don’t take this advice and think that it’s smart to run in disc mode all the time. I use discrimination VERY SPARINGLY, and only in a very specific circumstance as outlined above. You need to be digging some trash to be a good gold hunter. There isn’t a single successful detectorist out there who can avoid trash completely. Digging trash is part of the hobby. Accept it, embrace it, and keep on detecting until that elusive gold nugget finally pops out of the ground. If you are hunting a trashy site and you must use disc mode, then there are certain detectors that are better than others. Many Pulse Induction (PI) metal detectors don’t have discrimination at all. They are designed for depth and sensitivity, and are less concerned with trash targets. 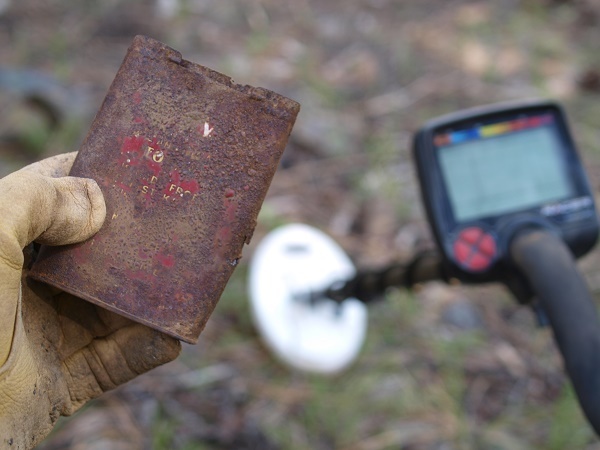 The Minelab GPX 4500 and GPX 5000 both have discrimination. It is just ok… not particularly reliable, but again it will work if there is so much trash that you simply can’t operate without it. In most cases, a Very Low Frequency (VLF) detector is going to be a better bet. Since these detectors can only punch a few inches deep on small targets, they do a much better job of target identification since they are closer to the target. 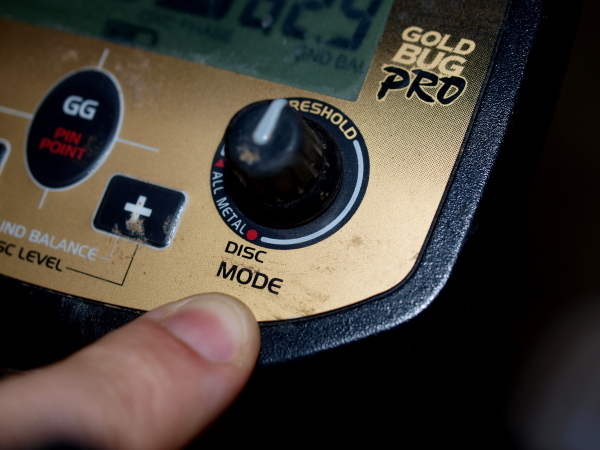 I really like my Gold Bug Pro when hunting in the trash. It is actually very good at eliminating iron rubbish, and on larger pieces of iron (like old square nails) it is accurate enough that I am quite confident that I’m not walking past gold. Discrimination is a tool. It isn’t perfect, but it can be beneficial in certain circumstances. Use it sparingly and it will add gold to your collection that you might have missed because the area was undetectable otherwise.